Whether August means back-to-school for you personally or you consider learning to be a lifetime endeavor, we’d like to make it easier for you to pick up new skills. 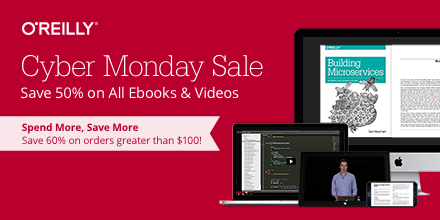 Through August 25th, you can add any number of our ebooks to your Take Control library for 50% off the cover price. All our books are DRM-free and available in PDF, EPUB, and Mobipocket (Kindle) formats, so you can read wherever, whenever, and on whatever device you like. We don’t expect you to read every Take Control title cover-to-cover; instead, each book has a Quick Start section that gives you a look into the book beyond the table of contents so you can jump instantly to the information you need. Whether it’s dealing with passwords, upgrading your wireless network gear, getting a handle on Apple’s Pages word processor, automating repetitive tasks on your Mac, or finally writing your own book in Scrivener or iBooks Author, we have a title to help. We also have ebooks about iCloud, Mail, FileVault, iBooks, CrashPlan, PDFpen, TextExpander, setting up a paperless office, and more. * Passwords: Develop a secure password strategy that won’t slow down everyday activities, thanks to Joe Kissell’s best-selling “Take Control of Your Passwords.” Also don’t miss Joe’s “Take Control of 1Password,” about the popular 1Password 4 password manager. * Wireless networking: Upgrade your wireless network with Glenn Fleishman’s “Take Control of Your Apple Wi-Fi Network.” The book will help you extend the range with multiple AirPort base stations, add USB drives and shared printers, enable security options, and more. * Apple TV: Apple’s diminutive streaming media box is much more than a conduit to the iTunes Store. Find out how to play a wide variety of media and have more fun with “Take Control of Apple TV,” by Josh Centers. * iTunes: Manage your music collection and find your way around iTunes more effectively with Kirk McElhearn”s tips in “Take Control of iTunes 11: The FAQ,” where he answers oodles of questions about playing, ripping, buying, tagging, viewing, organizing, searching, syncing, sharing, and burning your music. So stock your Take Control library today with the titles that you’ve been wanting to read or that you think might become useful in the future — remember that we give readers minor updates for free, so your library can stay up to date throughout the year! True or false? Stormy weather can interfere with cloud computing. Apart from a lightning strike or falling branch cutting power, no, it can’t, but 51% of Americans believe it can, and another 29% of respondents in a 2012 survey thought the Cloud has something to do with an actual cloud. It’s not surprising, since marketers tout everything from word processors to TVs as being cloud-enabled, cloud-friendly, cloud-this, cloud-that. Joe Kissell is fed up with such hazy claims, and he sets the record straight in “Take Control of the Cloud,” pinning down nebulous cloud concepts, helping you evaluate claims about cloud services, and explaining how to enhance your privacy and security in the Cloud. This approachable book is a quick and easy read, helping you make sense of what the Cloud is all about without bogging down in instantly obsolete step-by-step instructions. The book normally costs $10, but the 30% MUG discount drops that to $7. Learn more about the book via the coupon-loaded link below. So what, exactly, is the Cloud, and how can you make smart decisions about which cloud services to use and how to set them up? Joe cuts to the chase with 18 FAQs to answer the most common questions (see below), after which he helps you understand the major types of cloud services, explains the difference between cloud storage and cloud syncing, and looks at useful and popular cloud apps. Then he tackles the tough issues, explaining what you can do to enhance your privacy and security, how to evaluate different cloud providers, and how to back up your cloud-based data in case the provider goes dark. If you remain uncomfortable with handing your data over to cloud services, Joe walks you through the basics of creating your own personal cloud – it requires more work, expense, and maintenance, but you remain in control at all times.